For more than twenty years, Lorna has been a respected professional in the dynamic luxury real estate industry. 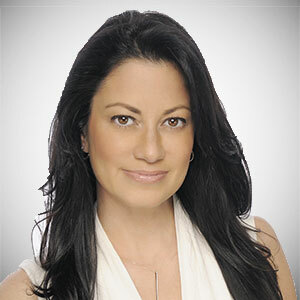 By incorporating a heightened level of discretion and privacy, coupled with unparalleled market expertise, Lorna has consistently exceled as one of South Florida’s most sought-after Realtors catering to an affluent clientele. Lorna launched her career in the fast-paced, and incredibly competitive Las Vegas market, where she worked on several of the area’s most coveted projects including the Cosmopolitan Resort & Casino and Panorama Towers. After many successful years in Vegas, Lorna relocated back to Miami Beach where she focuses in ultra-luxe, residential five-star buildings and single family homes. A nearly lifelong resident of South Florida, Lorna moved to Miami with her parents at the age of six from New York. Fluent in English and Spanish, Lorna has strong ties to the community and enjoys sharing her love of the South Florida lifestyle with her family, friends and colleagues. Lorna is a member of the Miami Association of Relators®, Florida Association of Realtors® and the National Association of Realtors®. Here is a list of Lorna's most recent property sales, with the most-recent ones showing first. You may resort the list by clicking on any column.